The world of science is certainly turning out to be more enigmatic with every passing day. This is demonstrated by multiple findings within the realms of quantum physics, parapsychology, and more — findings that have challenged (and continue to challenge) the present framework of acknowledged scientific knowledge. This kind of shift in ideology has occurred many times over the course of our history; when the world promptly became round from flat, the majority of people were in disbelief and labelled the new theory’s proponents as blasphemers. Some great examples of science that challenge these present and long held belief systems include: quantum entanglement, studies which examine the role of consciousness on physical systems (like the quantum double slit experiment), placebo studies, distant healing, and more. Another great example is teleportation, as numerous interesting discoveries within this field appear to be (at least partly) turning science fiction into science fact. The title proclaims that he teleported DNA. It appears, as with other “fringe” topics when it comes to science, phenomena like this collects harsh criticism and resistance from a still decent sized part of science. That being said, did he truly teleport DNA? Given his reputation and integrity, combined with all of the studies done in various types of teleportation, the black budget and more, I am going to give him the benefit of the doubt. Nobel Prize winning researcher Luc Montagnier, formerly known for his work on HIV and AIDS, declares to have confirmed that DNA can be produced from its teleported “quantum imprint.” This is a finding that, were the scientific community to get on board, would represent “the most significant experiments performed in the past 90 years, demanding re-evaluation of the whole conceptual framework of modern chemistry,” according to theoretical chemist Jeff Reimers of the University of Sydney, Australia. 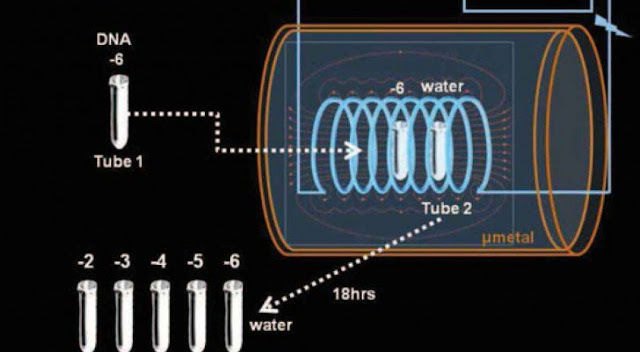 In the experiment, two neighboring but physically detached test tubes were placed within a copper coil and subjected to a very low frequency electromagnetic field of 7 hertz. The apparatus was isolated from Earth’s natural magnetic field so there was no interfering. One tube contained a fragment of DNA (around 100 bases long) and the second one contained nothing but water. 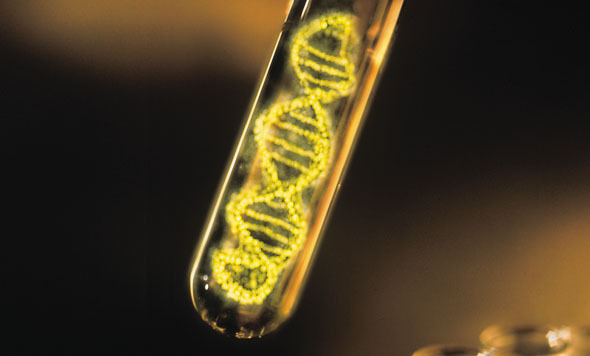 After around 17 hours, the gene fragment (according to Montagnier) was recovered from both tubes, even though one should have just contained water. However Montagnier’s claims have received harsh criticism from various researchers, there was a general agreement that his outcomes should be examined further. For example, Giuseppe Vitiello, of the University of Salemo in Italy, is confident that the experiment is reliable. Today, several teleportation advances have been made. One example comes from the work of Professor Rainer Blatt at the University of Innsbruck. He and his associates were effectively able to perform teleportation on atoms for the first time. Their work was published in the journal Nature. Another study, published by a team of University of Queensland physicists in the journal Nature in 2013, established successful teleportation with solid state systems. This is a process by which quantum information can be communicated from one place to another without sending a physical carrier of information. This is made probable through the phenomenon of entanglement. A team from the Joint Quantum Institute (JQI) at the University of Maryland (UMD) and the University of Michigan has succeeded in teleporting a quantum state straight from one atom to another over a considerable distance. There are different classes of teleportation. Another types of teleportation apart from quantum is psychic, which is the transportation of persons or inanimate objects by psychic means. A paper published in the People’s Republic of China (PRC) in September 1981, in the journal Ziran Zazhi (Nature Journal), stated that “gifted children” were capable of causing the teleportation of small, physical objects from one place to another. Objects included watches, horseflies, other insects, radio micro-transmitters, photosensitive paper and more. The paper, titled “Some Experiments on the Transfer of Objects Performed by Unusual Abilities of the Human Body” (Shuhuang et al., 1981), discloses that participants never touched the objects beforehand. The experiments were done under both blind and double-blind conditions, and the scientists involved came from various colleges and sectors of the Department of Defense. Furthermore, researchers have performed studies on people in the lab which produced extraordinary outcomes, observing people describe physical objects that had been hidden in a remote location. The list of strange things described in the world of science is never ending, and I believe the ‘politicization’ of academia and publications, as well as the ‘black budget‘ world, are important things to think about when it comes to the world of science, what research gets published, and what our minds are eager to explore – irrespective of how difficult it might be to accept.